The Grammar Land set consists of 50 cards and its language content covers most core areas of CEFR B1 / B1+ syllabus. The types of language tasks presented on the cards have been sourced from the most popular coursebooks used worldwide and from internationally recognized language exams. Therefore, Grammar Land cards bring lots of fun to the classroom while giving solid language practice. This set can be used in a broad range ofways. You can find a few suggestions inside the box. 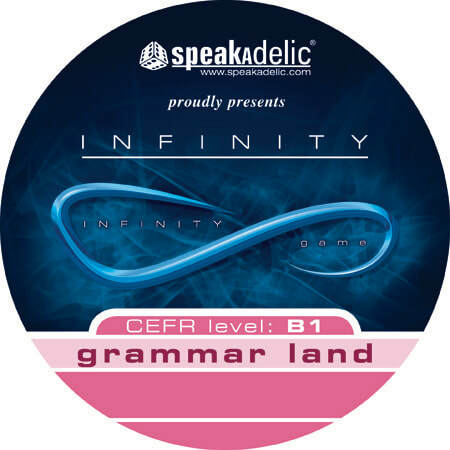 In order to reinforce the language content after using Grammar Land in a few mini games, the cards should be used as a part of the Infinity game.